Let's get the BOY celebration started by giving away free stuff! We've got two boyish shops for you. Finley and Oliver is whimsy; The Rice Babies is funky. Have you always wanted a cool crown for your son (so he's not jealous when sister is prancing around in pink tiaras?). The Rice Babies have some of my favorite boy crowns around. They're clever, and well, unique! Superman, the Very hungry Caterpillar, Good Night Moon....just head over and take a look. 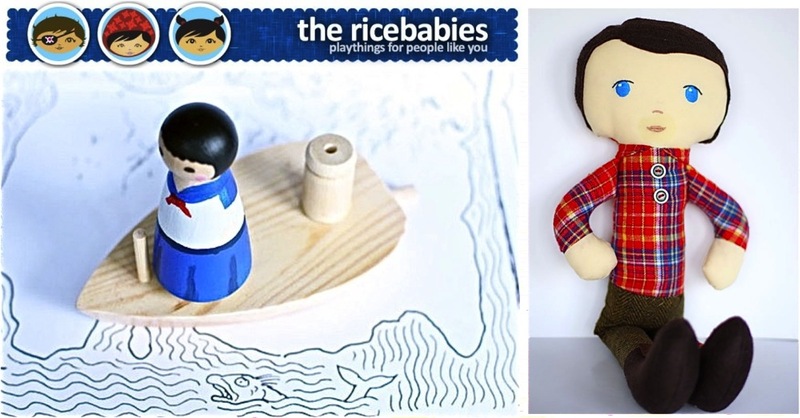 And the boy fun doesn't stop there, Rice babies also has boy dolls and wooden play toys. When you're done playing, lay down in the warm sunshine and enter the light-hearted shop of Finley and Oliver. 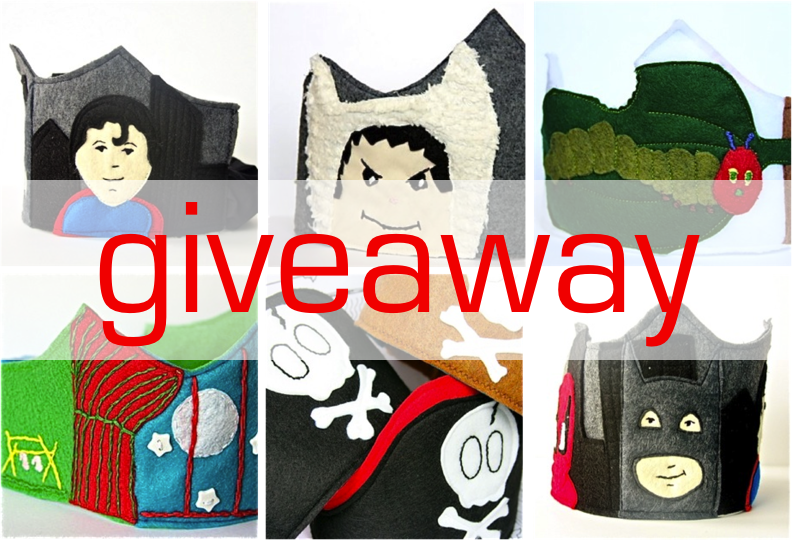 * Giveaway ends Friday 2/18/11 at 8pm (Central Time). Winners will be announced on Sunday. So cute! Thanks for the awesome giveaway! Wow, what a great giveaway! Thanks for Celebrate the Boy....it felt like Christmas morning yesterday as I ran to my laptop to see what treasures were under the tree for me! I don't have a boy, but I think this cuteness can apply to my daughter too. Thanks for the giveaway. Thank you for the giveaway. I am so excited about 'boy' month. I can't wait to see what you have each day! What cute shops! I love, love, love etsy! I love Celebrate the Boy! I have two sweet little boys and I just don't feel that there is enough cute things out there for them, so thanks for drawing my attention to some cute things! I love checking in with MADE everyday to see what is going on! Thanks so much! I feel like my little boy, almost 2, has lost out on "things made by mommy" because, well, mommy doesn't really have a clue about making anything but dresses and skirts...:) These would ROCK Bennett's world! What a great giveaway! My nephew's birthday is next month and I see some great ideas for gifts here!! Great boy stuff! So fun. absolutely love it! I've got two boys here (ages 3 1/2 and 2) who love to put on hats and capes and dress up clothes - so it looks like I'd be purchasing one more crown if I won (to lessen the fighting over one). Such cute things! THanks for the giveaway and fun boy ideas. I'm always looking for stuff for my little guy. Thanks for the giveaway! Everything is so cute!! Love the mustache shirts!! Boy crowns -- love it!!! What a fun idea! And unlike the flimsy, plastic girl ones, this will last forever and won't poke a younger brother's eye out! LOVE this month of the boy!! Thanks for introducing these great shops! I would love to win for my little man! What a great giveaway - thanks!!! My son would LOVE a crown like that! O my stars! I'm in love! My son would just love something from these shops! I've been loving Rice Babies from afar for months now...maybe it's time we got up close and personal! My son would love anything from either of these shops! Wow! That is an amazing giveaway! I am so excited about Celebrate the Boy! Inspiration overload!!! Thanks. Awesome! As a dad who makes stuff for my boys, I am always so excited to see great ideas and products out there. Represent for us menfolk! Awesome! I have three little boys who would love this stuff! So cute! The crowns are a good idea! These shops are too much fun! So excited for Boy month!!! I love that you are celebrating boys! The etsy sites are simply adorable too. 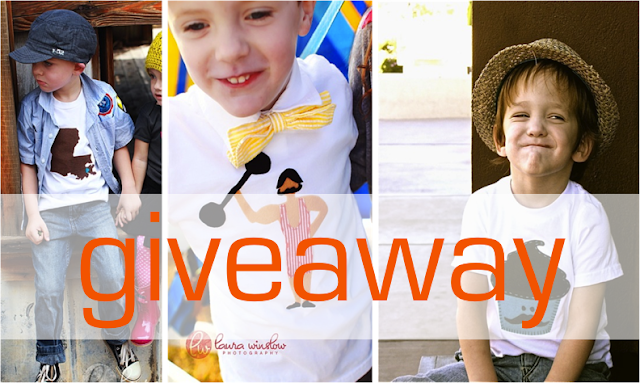 What a fun giveaway - love all the boy stuff. So cute! I've been looking forward to boy month all year! finally a shop for BOYS!!! i am loving those crowns!! Loving the boy stuff already! Thanks for the giveaway! I love having a boy! 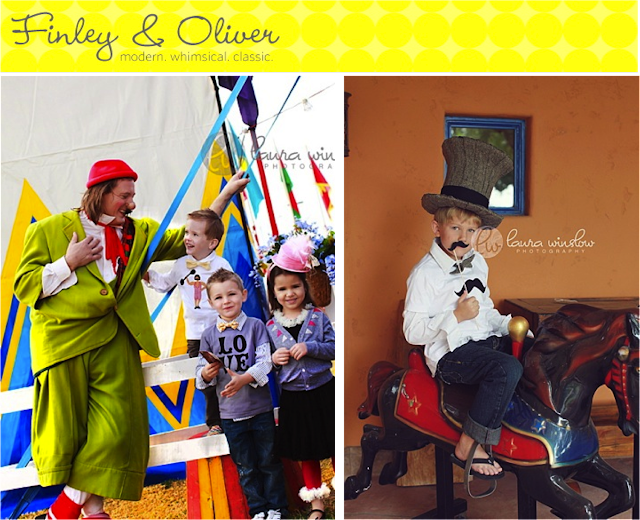 Finley and Oliver is funky! Love it. i would just love to win anything from either store. what fabulous things. thanks for the opportunity! My baby would love the crown!!! Really excited to see all the fun boy stuff! Good luck everyone! Very cool. And I love the month of the BOY!!! ~ Suzy B.
I'm getting ready to make my boy a crown for his first birthday...maybe I won't have to make it after all? Very cute! My son would love those crowns! Obsessed with the shirts for my little boy. Also a crown would be nice for his 1st birthday coming up. I love them! I can't even handle my excitement over the month of boy!! I am itching for some boy dress up clothes and those crowns are just the COOLEST! Thanks for boy month! I just had a baby boy 2 weeks ago, and am so excited to see all the fun projects I'll be able to make for him. It all looks so fun! Thanks! As a mom of two boys I really enjoy celebrate the boy! These two etsy shops are super cute too! How fun are those crowns! I have three girls, but would love to give one as a gift. Can't wait to see what is in store for the month! Thanks for the giveaway! My son turns 4 next week so this would be great! 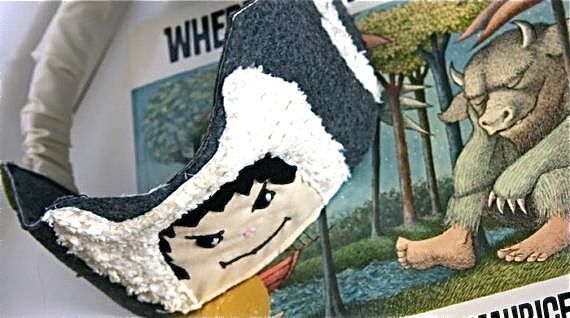 I LOVE that Where the Wild Things Are crown!!! um, yes please! 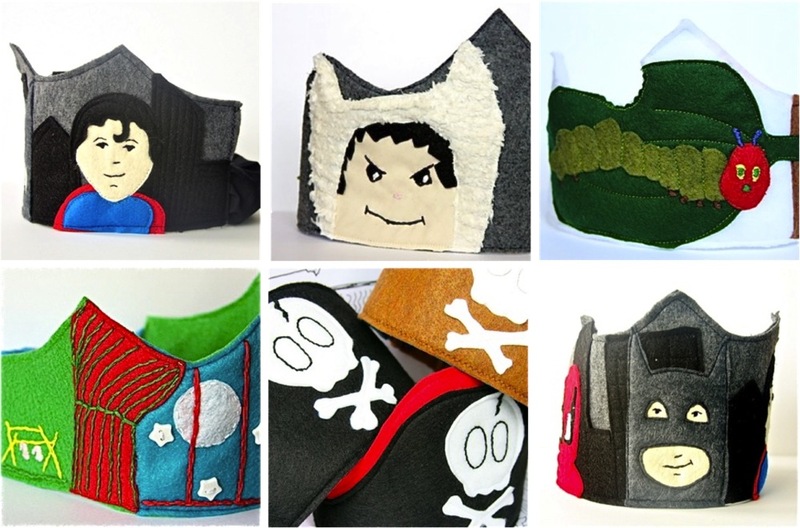 felt crowns and adorable apparel for my kiddies? i'll take it! Those crowns are AWESOME and so unique! My 3 year old would feel like a king. How nice of you to do a giveaway! I have just found your blog through another blog and can I say... I LOVE IT!!! I have just started sewing. My MIL is teaching me! It could become quite addictive!!! I am so glad that there is a "little" focus on boys! I have two boys and I feel like everything is always focused around girls. Granted girl clothes are cute, but there is so much hope for little boys with just a little imagination...and your blog! Thanks for sharing!!! I have 4 boys, so I've really been looking forward to boy month! Thanks for the fantastic giveaway. Such great crowns!! Now the little boys wont have to wear their sisters crown!!! great shops with adorable and unique items - my favorite kind. What cute stuff! Thanks for the giveaway. I am seriously in love with both these shops. Such cute stuff. Love the crowns! How cool are those crowns?!?! Awesome giveaway! such a cute giveaway!! love it! i know my boy would love those crowns! better than the princess stuff he wears now because of his sisters! thanks! WOW! I am LOVING those crowns. Cutie, cute, cute! My son would love that batman crown It's all Batman all the time around here these days...Thanks! Thanks for a chance to win an awesome giveaway! So great! Love the crown idea for boys :) My son Linus would LOVE it! Great picks! Thanks for a chance to win. Oh, I am so enjoying these fabulous boy-friendly etsy finds! thanks!!! what a great giveaway!! hope to win for my little man! Oh how fun are those. My boy will need to grow into a crown still, but he will! Thanks for being generous! Thanks for the chance to win! meremadeblog (at) gmail (dot) com. I love to see items for boys that are different from the norm. I love that mustache shirt on Finley and Oliver. Great giveaway! Ooh I am loving both of those shops! How fun! Superb collection of boys stuff (not a pink frill in sight)! This is an awesome giveaway, and Celebrate the Boy month rocks my kiddies wardrobes! LOVE the crowns and all the boy-licious goodness!!! loving all the boy things!!! Thanks for doing this series!! Would love to win. Thank you for having a boy only month. I am always making things for the girl and now I have a 14month old son and never know what I can craft up for him. Excited to try the pants I have cordory just sitting in my closet dying to be used! So cute!! I am a new follower of yours!! Thanks for sharing your stuff/ideas! Hurray for giveaways! I love it all! I'm loving all the boy stuff! It's easy to find adorable girl stuff for my nieces but it's great to discover new stuff for MY little boy! I've been so excited for this theme month! I can't wait- my new sewing machine comes next week!! I've been so excited for "Boy Month" (I have 3 young men)! Thanks for a great giveaway! What great giveaways! I love that it is all about boy this month. It is so hard to find good boy ideas, thank you. Love these two etsy shops. love finding new Etsy shops! These two are great! So adorable. Perfect for my two boys!! Love the Celibrate the boy Idea! Can't wait to see more! Oh! I need a Max crown for my little Max! Awesome shops, thanks for linking. Wow I love everything!I am soo glad the boy is back! Love, love, LOVE all the boy stuff! Always looking for fun ideas for my two boys. I love those pirate crowns! Those crowns are so cool! Thanks for the chance to win. I LOVE celebrate the boy month! dpkayli @ yahoo dot com. Love it! So glad I have a boy to enjoy this month even more than last year! Two great shops to discover!! My son would LOVE one of those crowns! Wow, how creative! I love it and would love it if I won! Always looking for fun things for my little man. Great giveaway today! Thanks for organizing celebrate the boy month Dana. It's one of my favorite events! Cute shops! The Wild Things Crown is adorable. Amazing crowns! I love the child storybook adaptations. I would love to see one of them up close :). katiemid(at)gmail(dot)com. taracrawford (at) gmail (dot) com. i would love to have something for my little guy since he's constantly surrounded by big sister's girly things! I would love to win! These shops rock! My son would flip for the superhero crown! adorable! I'd love to win. jenny and sullivan and parker at comcast dot net.